Slack, a communication tool that is quickly growing in popularity with small businesses and even some large enterprise companies, is encroaching on Microsoft's productivity space. Microsoft, who was rumored to be contemplating a bid for Slack for around 8 billion, is now building its own product under the Skype umbrella to take on the new incumbent. Called Skype Teams, the tool is designed to bring all the features users love about Slack into Skype and integrate them with all of the Microsoft products including Office 365, OneDrive and of course email and calendar apps. Bots will also be part of the tool and as you can see from the image at the top of this post, obtained by MSPowerUser, threaded messaging is included as well. Skype Teams, like the Skype app, will allow for voice and video chat and will be available on all of your devices. While the release date is not known at this time, sources close to the development of the product say that the application is being tested internally with the company placing priority on getting this application shipped sooner rather than later. I asked Microsoft for comment about Skype Teams and the company said they had nothing to share at this time. Microsoft has stated numerous times that they have over 300 million actively monthly Skype users, so it will be interesting to see if they are able to shift that user-base over to the new Team application. 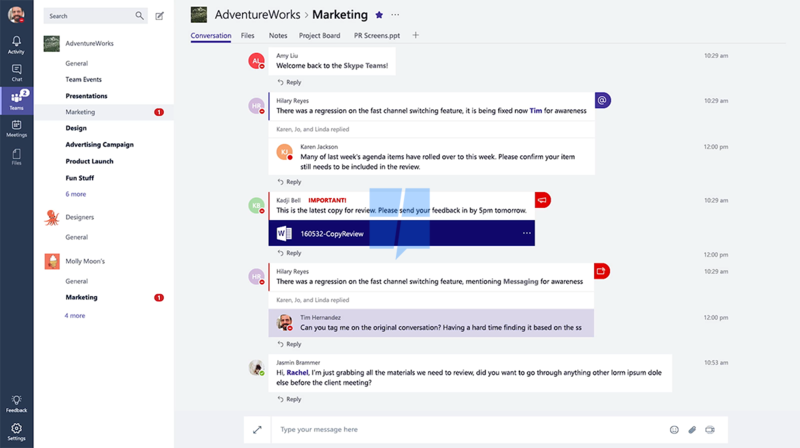 Communication and collaboration tools are a vital part of every company and with Slack eating some of Microsoft's lunch, the company knows that when Teams is released, it has to have feature-parity to the competition. What is not known at this time is the future of Yammer; earlier this year the company announced the integration of Yammer groups with Office 365 Groups, but the future of the platform is still a bit uncertain. 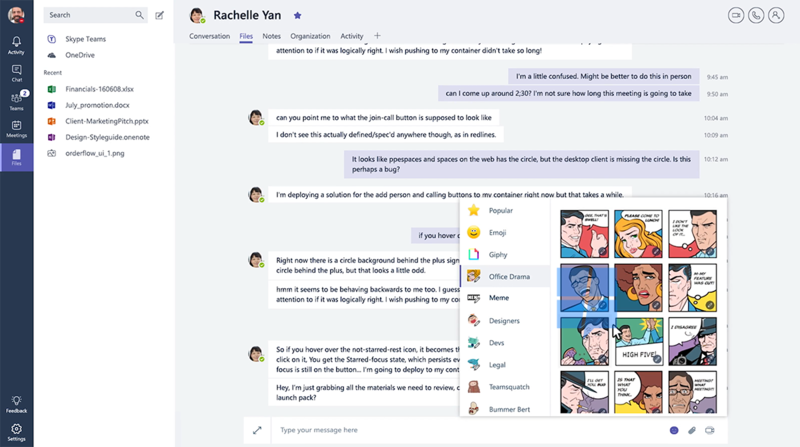 Oddly enough, several teams inside of Microsoft currently use Slack for communication which goes to show that the service does work well and that building of Skype Teams isn't chasing down a fad but a serious competitor in the productivity space. The post Microsoft Is Preparing To Take On Slack With Skype Teams appeared first on Petri.